This weekend was a particularly busy one, running around the London Underground on the Northern, Jubilee, and Victoria lines, jumping on and off trains, Ubers and walking all over London with my suitcase. I spend my working life with my suitcase in tow so I felt like I was travelling to work at one point. I had some errands to run in the morning in Mayfair and then headed to Angel tube station to get to the Doubletree Hilton Hotel Islington where we were all staying for the weekend. A few of us went to London this weekend to attend a Party like Gatsby event at the O2 Forum Kentish Town so for the morning after to help ease our hunger pains we headed to a place I have wanted to go to for ages, My Old Dutch, I was told about this a while ago especially because of my love for chocolate I had to go. I follow them on Instagram just so I can see the mouth watering video’s of the food they have on offer. We arrived at holborn Tube station around half eleven and from there you can see across from the station the sign for the restaurant, so we walked across the road and we were there in a matter of minutes. My Old dutch Pancake house restaurant honestly is a chocoholics paradise. I was super excited to eat here and had high expectations which were exceeded I can tell you. So, as you walk in the first thing you notice is the huge Jars of Nutella on the shelves. I referred to myself as Augustus Gloop imagining my entire hand sweeping out the chocolate from the jars and into my mouth. We were seated by a lovely man who was very pleasant and gave us our menus. We were very lucky to get a table, we never reserved a table as you can just pop in, it was very busy which you can imagine being it was a Saturday morning in London. The tables are wooden with a distressed look to them which I liked very much, also astroturf covering the walls so I ran my hands over to feel the texture and looked around at the signs and paper like flowers suspended from the ceiling (I am sure there is a name for these). There are handwritten signs so you can see the daily specials and also a bar area with shelves filled with Belgium beer and the dutch brand De Ruijter, milk chocolate sprinkles which is commonly used sprinkled over bread with butter or any dessert. It took us a while to go through the menu, there is a lot of choice which is great depending on your preference. You can have Savoury, Sweet, gluten free, lactose free, egg free literally this menu caters for most. We decide the simplest thing to do was order our drinks first and mull over our food choices whilst we drank our drinks, I decided to go for the Kinder Bueno milkshake, I knew I wanted this as soon as I saw it, this gorgeously thick milkshake with broken up pieces of kinder oh my goodness, I was drinking my favourite chocolate bar. I drank it so quickly that I felt completely full but I couldn’t come to a great place like this without at least trying the food. I decided I would go for a savoury pancake as it was still pretty much morning and we hadn’t had breakfast yet, although I was saying I would eat a savoury pancake and then a sweet one, even after drinking my milkshake in one go. 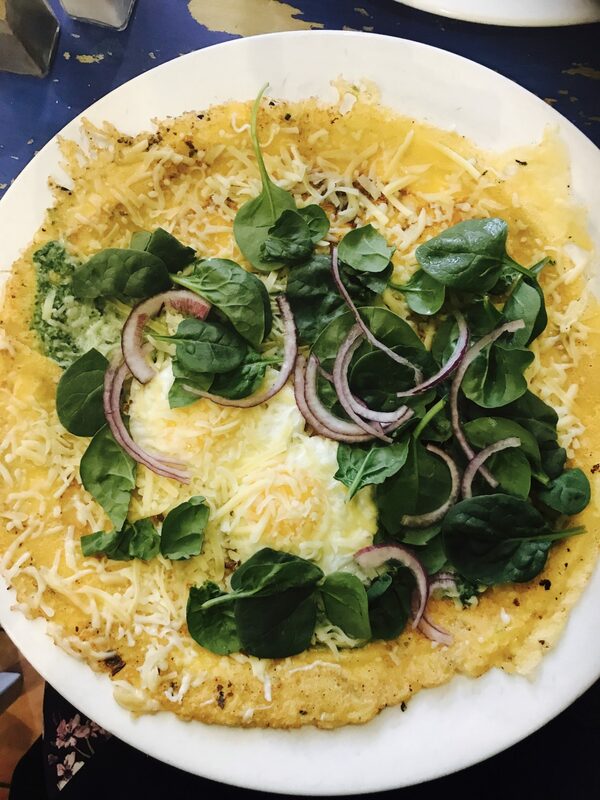 I went for the Eggs Florentine pancake, creamed spinach, sunny side eggs, with melted cheese topped with baby spinach and red onions. It took no time at all for our order to arrive, the plates were so large, pretty much the equivalent in size of the largest pizza size you can get. Honestly we were all pretty much scoffing our food down in minutes. My friends went for both a mixture of savoury and sweet options. I must say, I couldn’t eat it all but thats not because it wasn’t enjoyable, it really was, I just was unable to find anymore room in my stomach. I so desperately didn’t want to waste any but I was just so full. I really wanted to try the Squisito, this is butterscotch pancakes topped with Nutella, raspberries, kinder chocolate and kinder Bueno served with cocotella ice cream. This will be what I order next time. 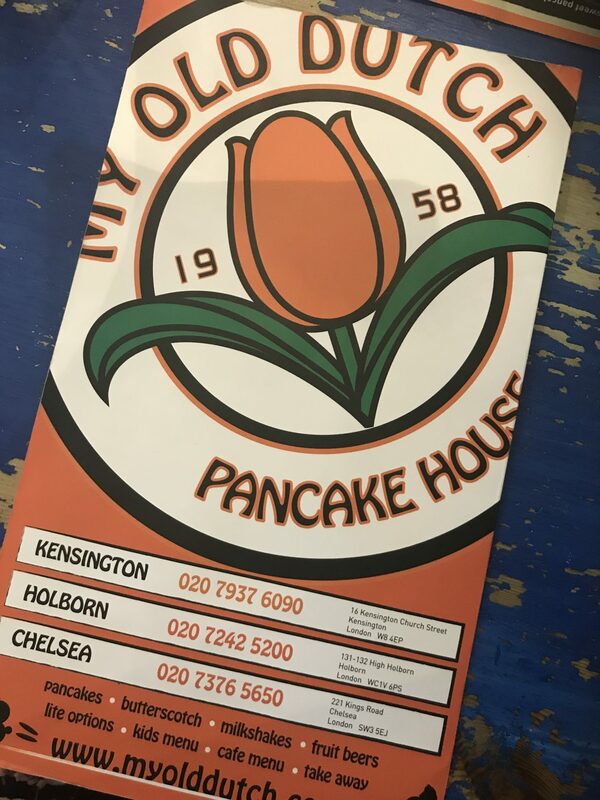 I will be heading back to my old dutch, whether it be at the Holborn restaurant, Chelsea or Kensington restaurant, I am definitely returning to try as many of the pancakes they have to offer. For those that live close to any of these places my old dutch offer a delivery service. If you have the app JIN and QUIQUP or even Deliveroo I would highly recommend you trying the pancakes if you are unable to visit the restaurants. I found the prices were extremely reasonable for London and actually surprised me as I was expecting it to be more really than what it was. Although my friend paid for mine (Thank you Beth) I would not grumble if I was paying for sure. To add, this is a family environment and they welcome parties for kids and adults. It is definitely worth a visit no matter whether it is a special occasion or not. I will be telling all my friends and family about My Old dutch. It is a great place to visit. you should honestly go and try it out. 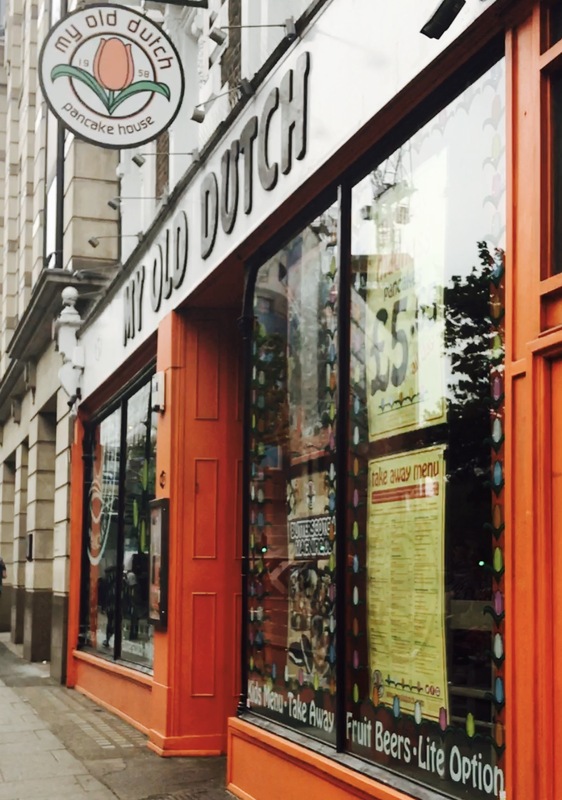 Thank you to staff in the restaurant that made our first time at my old dutch really enjoyable.